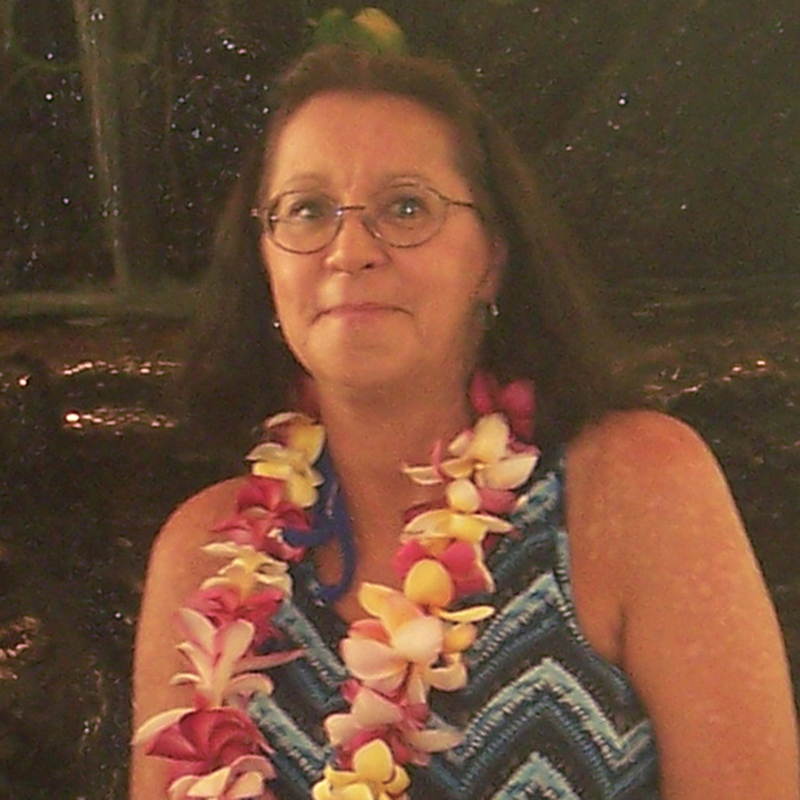 Marilyn Lyn (Mick) Wolff, age 60, of Caldwell, Idaho, passed away on Tuesday, May 2, 2017. Funeral Services will be held at 2:00 P.M., Tuesday, May 9th at St. Peter’s Lutheran Church in Hampton, Nebraska. Pastor Jim Gruber will officiate. Interment will be in the Aurora Cemetery. Visitation will be 5 – 7 P.M. Monday at Higby-McQuiston Mortuary in Aurora. Condolences may be e-mailed to the family through the mortuary website at www.higbymortuary.com. In lieu of flowers, memorials may be sent to Stringfield Law Office (PO Box 777 Caldwell, Idaho 83606) to be held in trust. The family is working to establish a memorial fund to provide financial assistance to help children participate in community activities. Marilyn Lyn (Mick) Wolff, the daughter of Arnold and Naomi (Adams) Mick, was born in Henderson, Nebraska on May 9, 1956 and died in Meridian, Idaho on May 2, 2017, at the age of 60. She grew up on a small farm outside of Hampton, Nebraska with seven sisters; Kathy, Carmen, Sharon, Regina, Lori, Bonnie and Sandy, and one brother, Thomas. She graduated from Hampton High School in 1974. Marilyn was united in marriage to Gearld Linn Wolff on June 5, 1982 at Westminster Presbyterian Church in Lincoln, Nebraska. The couple made their home in Caldwell, Idaho. Marilyn dedicated her life to her husband and daughters. She spent her time watching gymnastics classes, organizing Girl Scout trips, helping with marching band, coaching and organizing volleyball and softball. Since 1997, Marilyn has been the secretary/treasurer for the Caldwell Girls Athletic League Softball (G.A.L.S.). She shared her love of softball with thousands of girls and families in the Treasure Valley. Marilyn was a great friend, and had the gift of making you feel that you were someone special. She was gentle and courageous. She shared your happiness and your sorrow. She never spoke an unkind word about anyone, and could do no harm to anyone. Marilyn is survived by her husband, Gearld of Caldwell, Idaho; two daughters, Amber Wolff of Lincoln, Nebraska, and Ashley Wolff of Caldwell; and other family and friends. Marilyn was preceded in death by her parents, Arnold and Naomi Mick, her infant brother, Robert Kent Mick, and her father-in-law and mother-in-law, Wesley and Edith “Peggy” Wolff. A celebration of Marilyn’s life will be held at a later date in Caldwell, Idaho.